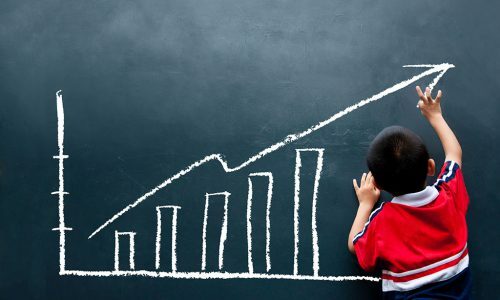 Whether your business is in its infancy or at a level of maturity, one fact that remains is that there's always room to grow. If you're just starting to see momentum from all your blood, sweat and tears, now is not the time to rest on your laurels. There are simple, affordable, convenient things that savvy small business owners can do to take their business to a whole new level of growth. The team from Small Business Festival Victoria share their top tips to scaling your business. No matter how well you know your product or service you can always learn more about the ‘business of business’. We all know stories of the brilliant entrepreneur with the great business idea who can’t balance the books. Even if you are time poor, there are heaps of ways you can advance your knowledge so your business can continue to evolve. Sharpen your skill set with practical, helpful, expert advice wherever and whenever you can, especially in areas where you may not be confident. Whether it’s a strategic plan to guide your business through its next stage of growth, a resourcing plan to get your staffing right or a succession plan for the future, it pays dividends to stop and think. Put processes in place to ensure you operate your business to plan. Revisit it as things change, keep it flexible and real. The most successful small businesses are willing to explore new outlets of online marketing that ties in with their offline marketing activities. While tried and true marketing tactics may work i.e. customer events, PR, social media, testing and mixing up your marketing activities can be a valuable way to see what works and what doesn’t. No matter how small or large your business is, technology is simply a necessity in any business. Technology plays a vital role in every business. Optimal use of it helps you make better decisions, save you money and time. It also lets your customers know that you are serious about being professional and connected. It doesn’t matter if you’re in the early days of business or you’ve been around for a while - it’s always helpful to get expert advice. Keep your ear to the ground about free and low cost mentoring services that specialise in your industry or are available in your community. Every once in a while, stop and evaluate how your business is going. It’s great to celebrate the obvious wins with your staff and customers - like signing a big contract or getting a new system up and running - but also to take a look at where you’ve come from. This is especially relevant when the romance of the early days is over. Almost every business hits a plateau at some point. But if you have a passion for progress, consider attending a range of events at the 2017 Small Business Festival Victoria - Australia’s largest small business festival. The festival provides a great opportunity to learn from experts, be inspired by new ideas and connect with other businesses and potential new customers. Discounted early bird tickets are now available for hundreds of events. Small Business Festival Victoria // August-September 2017 // Throughout Victoria and online // Low cost and free events//. Register to attend the Small Business Festival in Victoria here.